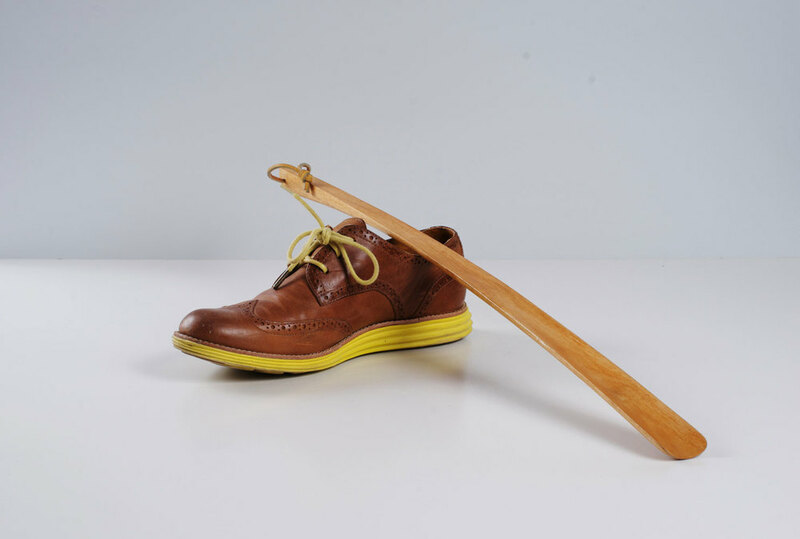 This shoehorn is one of several products that came out of a two year collaboration with the Salvation Army`s Trade for Hope project Others. Previously named Sally Ann, Others manufacture craft products in Bangladesh, Pakistan, Moldova and Kenya. Working on site in Jessore Bangladesh the project involved evaluating the workshop and the production in addition to designing products specifically for the tools and resources available. Since seasoned wood is not available in Bangladesh and the only electric machine available in the workshop is a jig saw the products and production needs to be well planned. Most of the shaping is done by hand by skilled workers and apprentices. The shoehorn is made from Gamary (Gmelina arborea) which is a readily available and easily processed wood. Gamary is often planted in local households and is cut down when an extra income is needed. The surface treatment consists of beeswax and shellac which are both natural products produced locally. For further inquires and prices please contact Others directly.